The Verify team works to get you the facts to those viral claims that spread all over social media like a viral post that's blowing up on Facebook with 28,000 shares. 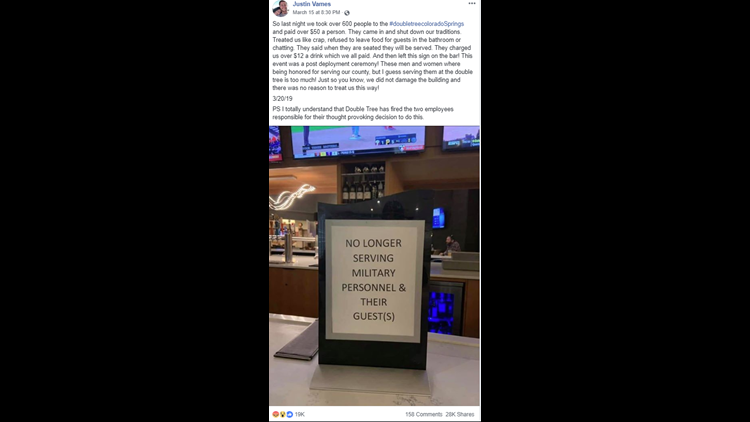 The Facebook user said a sign that reads "No longer serving military personnel and guests" was seen at a hotel bar of a DoubleTree Hotel after staff members shut down a military event earlier in March. This same sign was shared again on Facebook days later, supposedly at a Double Tree Hilton Hotel in Texas. So the Verify team went to work to get facts about this one. WUSA9 researchers went straight to the source, DoubleTree Hotels. 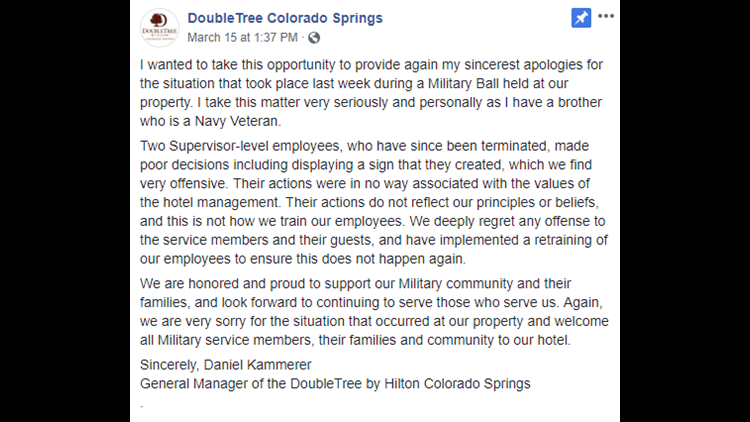 The general manager at their Colorado Springs branch, Daniel Kammerer put a statement on Facebook apologizing for the staff members that excluded those military guests. 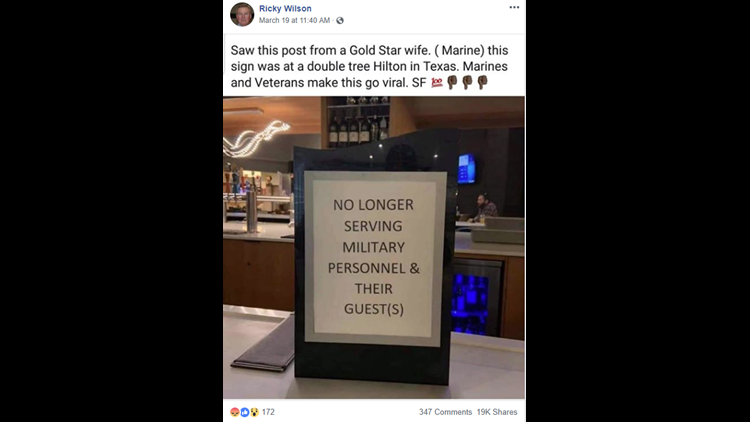 He also said those employees that created the sign, have since been terminated and that DoubleTree Hotel properties "Welcomes all, especially the men and women who serve our country." So we can verify, yes a sign denying military personnel was displayed at a Double Tree Hotel. A hotel spokesperson confirmed to Verify researchers that this was an isolated incident that only occurred at their Colorado Springs property and the sign was not displayed anywhere else, such as Texas, like the second viral image claims.